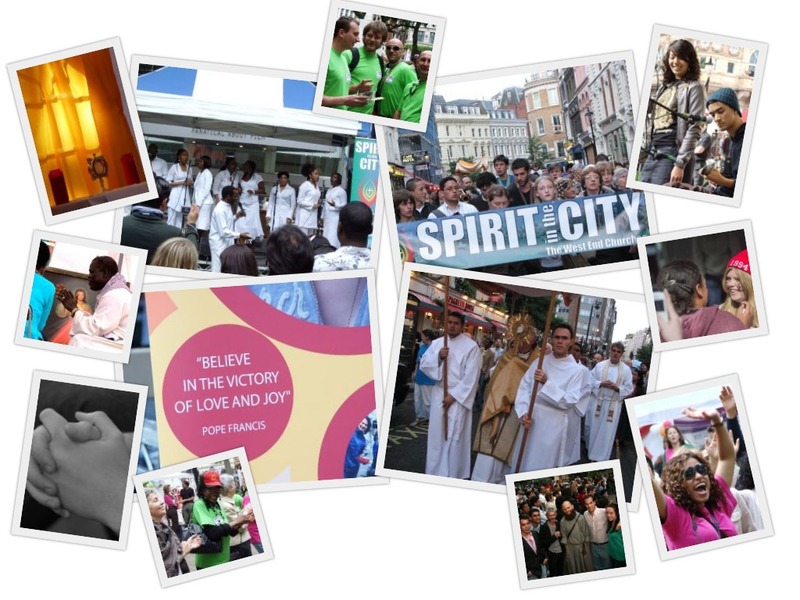 The first Spirit in the City Festival took place in 2006 in the West End of London in response to the late Cardinal Cormac Murphy-O’Connors’ invitation to the parishes to organise a faith celebration at the closing of the “At Your World, Lord” Renewal Programme. The four Roman Catholic Parishes in the West End – St Patrick’s in Soho, Notre Dame de France in Leicester Square, Our Lady of the Assumption & St Gregory in Warwick Street, and Corpus Christi in Maiden Lane – joined forces and commissioned Anne-Marie Salgo to organise a faith festival with a team of collaborators. Since this first event, which took place over four days in four Churches and public places, the programme has combined elements of prayer, faith formation and evangelisation activities. It aimed to bring together Catholics from across the Diocese and beyond to reach out to non-Church-going audiences of the West End. Over the years, Spirit in the City has grown and developed using the many skills of people passionate about sharing the Good News. Gradually since 2010, and formally since 2015, the Spirit in the City Festival has been run from and supported by Notre Dame de France, Leicester Square.